Marinated chicken breast on skewers, seasoned & char grilled to perfection. 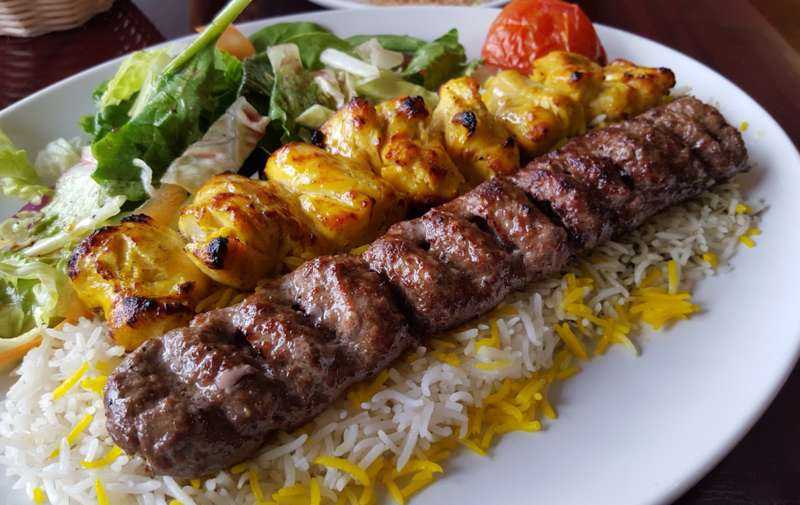 Ground beef and lamb, seasoned and grilled. Ten jumbo shrimp on skewers, marinated and grilled. USDA Choice trimmed, seasoned and grilled to perfection. All kabobs plates are served w/ 2 skewers, rice pilaf, roasted veggies, house salad and pita bread.